In the oil and gas sector, time is money. Up till now, inspections and surveys of important infrastructure, drilling equipment and off shore rigs has required a professional inspection crew who depending on the project, would be required to work at height. This itself results in specialist rope access training, scaffolding, support crew while also having to shut down rig production while inspections take place. Our drone pilots are all fully qualified and have been working on survey and inspection services with drones both inside and outside. 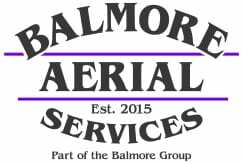 By using Balmore Aerial Services, you can immediately see a cost saving whilst also receiving high quality HD video and photography of service locations that would have been unobtainable with conventional methods. And by not relying on personnel working at height it also reduces the risk to human life. We can happily provide case study examples of the work that we do on the oil and gas sector on a case by case basis. If you would like to know more about the fleet of aerial drones that we use for our aerial services, you can see the selection in the ‘Aerial Drones’ tab in the main navigation.